Registration News: the registration for the inaugural C.O.G.100 is being worked out, but in the meantime, here is what you need to know if you want in on this nutty idea of mine. First, be prepared for on-line registration via Tikly on January 2nd, 2019. I'll have a specific time for that to go live, but for now, that's the date. Secondly, a reminder that our field limit is 75 people. Now, in my mind, finding seventy five nut jobs that want to ride 100 miles of gravel in late March is going to be a tough thing to do. 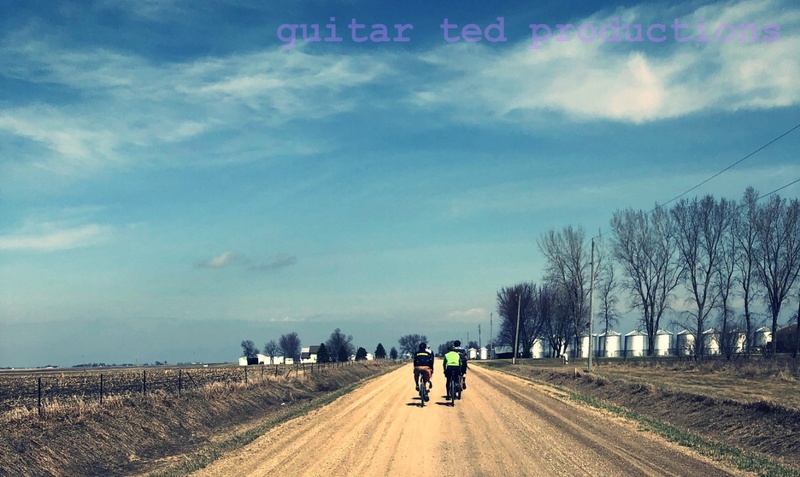 On the other hand, I'm hearing from several folks that are building special bikes and getting their first gravel road single speed bikes together just for this event. Course recon should happen this month. I rough drafted a course just the other day which came out at 106 miles. Gonna have to edit a bit to get it down a few miles, but that shouldn't be too tough. As of right now, this will be 100 miles with zero towns to pass through. I may modify that to allow for some folks that need it to get into a convenience store. I'm still thinking that bit through. If you feel strongly about that, one way or the other, hit me with a comment. My 2 cents, 100 miles is a long way to ride without some options for water at least. Food you could probably carry enough for 100 miles but water is a whole other matter. @Rob E- I'm also getting kudos from another who wants to come for not running the event through a town. So.......there's that. 2. I hope it isn't a fatbike ride in the snow!! Not going through a town would be fine with me as long as there was somewhere to get water that won't get you shot by a farmer. Jugs along the route, a (predetermined) kind farmers hose, heck even a predetermined mud puddle in an old cow pasture that is "guaranteed" not to give you dysentery for at least 10 hours would work. Most recommendations are at least one 16 oz bottle per hour, unless no town Tom is super fast that's 5-10 bottles they would need to carry. Tom better not be a weight weenie, if he could find enough room for 10 bottles on his bike that's another 5.2 - 10.4 lbs of weight depending on if he's half camel or not. Now before no town Tom gets all bent out of shape, as Toms will do, I have no idea who this person is and this entire comment is meant with levity. However you decide to do it, I'm going to try my best to be there; with our without 10 bottles. Yea, 75 people is gonna fill fast. But I do have a SS gravel bike sitting in the garage already and March is open, so see you there. Yep, stay out of towns. 5 water bottles should cover it, since it definitely won't be hot.